John and Kay have a two-part spoiler filled discussion about the third season of Agents of S.H.I.E.L.D including some possible spoilers about the various related Marvel movies. Listeners of this podcast, may also be interested in our previously posted podcast on Seasons 1 and 2 of Agents of S.H.I.E.L.D. 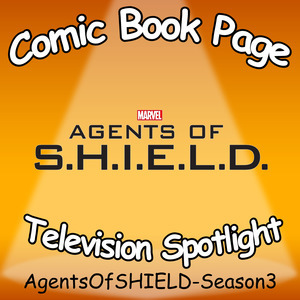 This entry was posted in Podcast, Podcasts, PopArtsPlace, Review, Television and tagged Agents of S.H.I.E.L.D., Agents of SHIELD, Marvel's Agents of S.H.I.E.L.D. on September 14, 2017 by Kay.